Day Three – the final day of the 2014 Who Do You Think You Are? 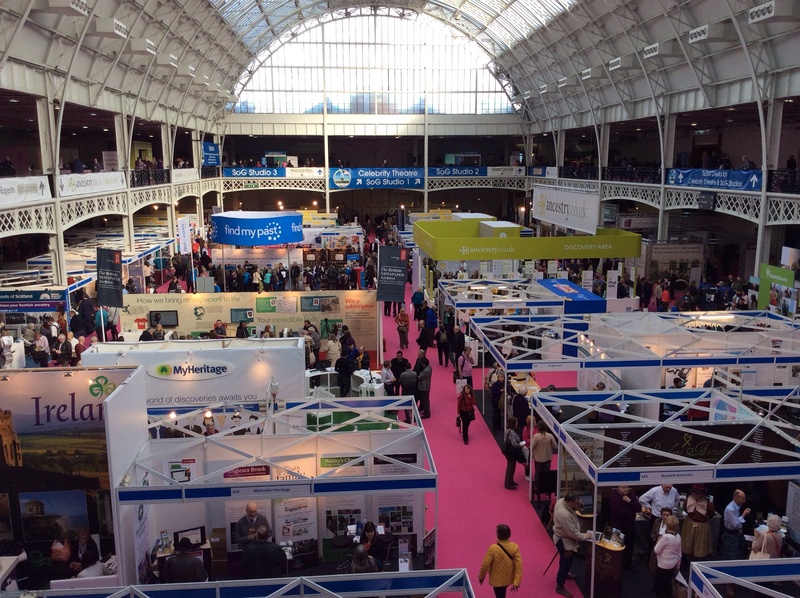 Live show at London’s Olympia. I’m writing this at the end of the third and final day of Who Do You Think You Are? Live. I’m home, and can honestly say that I throughly enjoyed myself. I arrived at about 9:45 this morning, after yet another wonderful walk through Hyde Park in the sunshine (still definitely Winter mode). Whilst there was no queue outside Olympia, I managed to get in just before the mass of visitors who were walking over from Olympia station arrived at the doors. After disposing of coat and case, I then went up to the workshop ticketing team, where there were also no queues, and picked up my two free tickets – one on ‘Finding Your London Ancestors‘ with Michael Gandy, and the other for ‘Wills: not just a source for our better-off ancestors‘ with Celia Heritage. I must confess that I didn’t make it to Michael Gandy’s talk – I chose it as I briefly have a family that lived in London for about 10 years, and occasionally through history a marriage turns up in its parishes. The queue was long, and so I decided to bail, and regret missing it based on the comments I’ve since heard and seen on twitter. However, I am very glad that I finally caught a Celia Heritage talk though, as her talks and work has always come with such positive praise. Plus, I’ve really been enjoying reading Wills and even the Probate Calendars that I’ve found on Ancestry.co.uk. I’ve got copies of Wills that hint at family feuds, and ones that detail every spoon and bowl. Those latter ones don’t seem like much now, but as Celia’s talk suggested, it wasn’t just the better-off people that wrote them. Through case studies from her own tree, Celia was able to show how it is important to view the full Will, as they carry so much information about relationships (not just siblings, spouses, and children, but cousins can turn up too), and locations. She also highlighted the importance of looking around at the same surname in roughly the right area, and seeing whether you can find some potential connections in Wills – in a hope that their Wills will mention your branch and help link it all together. It was my first venture to Who Do You Think You Are? Live (2011), when I dragged along a selection of my handwritten notes, expecting to find a whole new swathe of ancestors in some monumental research breakthrough. I soon found it wasn’t really that kind of event, and that I should use the show to learn about new techniques, new technology, and discover about new resources that can help my breakthroughs, and for the years since, I’ve stuck to this notion. So it was a surprise to find myself sitting alongside the very helpful Terry Leaman – Vice-Chairman of the Devon Family History Society looking at a baptism list of my Babbage relatives. Thankfully, my iPad has Reunion 10 (Mac only genealogy software) on it, so I was able to jump straight into the right tree and check my current research against the results – it matched – and with a few extra children in their records, and a completely new set of baptism dates for all of them to add to my research. A quick print-out and donation later, and I was off to sit down and add the data to my files. There were a few tweet-ups this year, and I managed to get in on one of them, and serendipitously right in the foreground of the commemorative photo. As ever, it was great to meet new people, finally meet some not-so-new Twitter/blogging chums, and to once again see friends made at previous shows. Here’s one tweet-up photo from genealogist Luke Mouland.. If you’re intrigued as to quite what a ‘tweet-up’ is, or concerned about what people do at a ‘tweet-up’, then essentially it’s an impromptu small-scale flashmob, organised via Twitter, where people turn up to meet those sometimes anonymous/faceless Twitter users, or to meet up with Twitter users that you’ve got to know well. Tea, coffee, or alcohol is usually consumed. Just prior to the tweet-up, I sat upstairs reading emails, when a retired man asked if he could sit at my table to eat (as there were no other free tables). Of course I didn’t refuse, and so we got chatting. He said that he’d travelled from Essex and that this was the second day for him, but his first ever visit to a show like this. He said he’d been meaning to come to something like this for ’20 years or more’, but just hadn’t found the right show. He said he’d been enjoying the talks on day one, and was going to spend his second day looking around the stands. We talked for about 15 minutes in all, about the WDYTYA? TV show (he isn’t a fan of celebrity culture, and we both kind of nodded in agreement), and we talked about all the great innovations, and how we’d both done our stints sifting through microfiche, film, registers, and transcripts for hours looking for names that were never there. I’ve no idea who he was, but just for those 15 minutes, the world got a little bit smaller, and that wonderful ability of genealogy to bond people together, proved once again to have worked at ease without boundaries. I left him finishing off his hotdog, and made my way over to the IWM demo I’d booked…. I arrived for my demo session of the new Lives Of The First World War website from the Imperial War Museum and DC Thomson Family History partnership. I’d already had my interest piqued on Day Two, thanks to Melanie Donnelly and Luke Smith’s keynote session, but this was great to finally see the new site up-close and have it explained to me, and to bounce questions. I’m really keen to get using this site, and was also keen to find out about tagging people in a photo (which could be a war memorial), and also about the educational programme that I hope is sitting behind this site, and the opportunity for it to become a key resource in classrooms and universities. I also met up with Steve Bardouille and Ola Dada from the team at Famberry – a relatively new, but fairly well established in the US company, that is specialising in creating secure spaces and tools for people to privately build family trees in collaboration with a closed or invite-only audience. 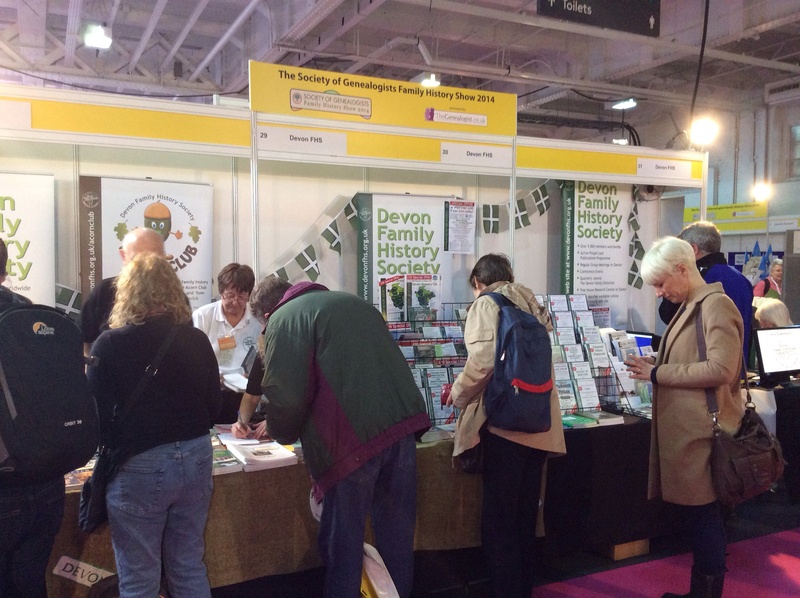 They’d been talking to a few different people at the show, and wanted to meet with me to find out what thoughts I had about what I’d want to see from their product as a family history researcher, as they are keen to grow their UK audience. As the show had moved forward a weekday, there was no opportunity for Sunday visitors. This had let me to wondered whether the would-be Sunday visitors would turn up today, and it certainly seemed to be the case. It was much busier than Thursday and Friday, and at a guess, it was a busier Saturday than last year. Day One’s (Thursday) visitors seemed to be on par with this year’s (and previous) Friday visitors, so I’m not entirely sure that the change has done the show any favours (last year saw 13,941 visitors). Couple this with the end of the District Line rail service from Earls Court to Olympia during the week (it only ran today), and it feels like it’s getting difficult for the 3 day show to stay at Olympia. After speaking with a couple of reliable sources on stands, I realised that there was no mention of next year’s show. Usually by now, we’ve heard that the following year’s show dates, and last year I remember seeing a stand selling tickets to this year’s show. But nothing. Thrown into the mix, is the first Who Do You Think You Are? Live show in Glasgow in Scotland – running for a few days in August 2014. Is there something going on? Is the show to end? Or are we to shift location? Hopefully not London Excel (I find it dreadful to get to – another show I go to, has just switched to there, so I’m no longer attending). Maybe, as rumour rumbles, Who Do You Think You Are? Live 2015 will be in Birmingham? We’ll just have to wait and see. I thought i’d try to get the answer myself from the WDYTYALive team’s twitter account, but maybe they can’t confirm anything just yet. I’ll let you know if I get a reply. In better news (well, for me at least), I found Olympia’s wifi was finally flawless. I can only hope that it’s the same quality/system at Earls Court 2, where I’m visiting on Tuesday. So, in conclusion, I really enjoyed the show. I really enjoyed all three days. I enjoyed my hotel stay and beautiful Hyde Park ‘commute’. As ever the SOG workshop speakers were brilliant, and the mixture of stands really helped to fuel my time in-between the talks. Thank you, to the team at Who Do You Think You Are? 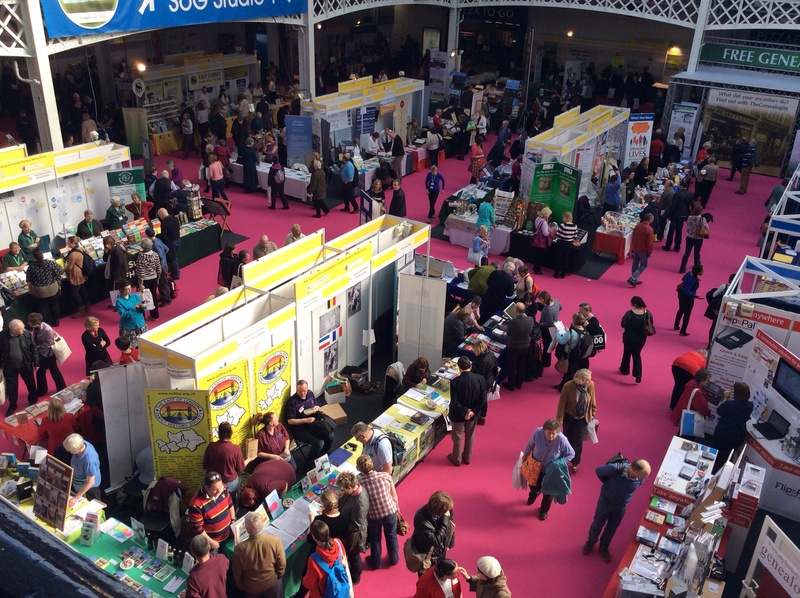 Live, to the team at the Society of Genealogists, and to the team at Olympia. I hope 2015 brings us together again. This unusual surname takes me on a rare journey out of Cambridgeshire and down to the South West – to Devon. In approximately 1816, Mary Babbage was born in Holcombe Rogus, Devon. She was the daughter of John Babbage, a labourer. On Christmas Day of 1839, she married Samuel Burnell at Combe Florey, Somerset, where she made her mark [x] and was noted as a labourer. With her husband, they grew a family of 11 Burnell children. However, the challenge is in securing the correct John Babbage. Despite this unusual surname, it’s the forename that really makes things tough as there’s quite a few John Babbages to pick from. With Mary’s birth being pre-certification, I’ve not been able to locate (for sure) her mother either. The most likely candidate being a John Babbage born 1783, who married Rebecca Vodden. If this is the case, then it leads the family to the parish of Ashreigney in Devon. This John appears to die on 16th January 1868, with his Will and Codicil being proved at Exeter in June 1869. Here it names Ashreigney again, titles him as a ‘gentleman’ and that his son, James Babbage ‘a yeoman’ is one of the Executors. Some articles suggest that Charles Babbage (1791-1871) an English mathematician, philosopher, engineer and (proto) computer scientist may have been part of a Devon-based Babbage family from Teignmouth. Other reports talk only of London, where a Blue Plaque has been added to a property in Dorset Street where his house once stood. Was this mathematical genius a distant branch of my Babbage tree? The jury’s out, but I’d love it to be true.